Eat in with us or pick up your meal and take it away. We are located a short stroll away from the seaside at Ramsgate Beach. Try us once and you will be hooked! We pride ourselves on having the freshest seafood and providing quality service. 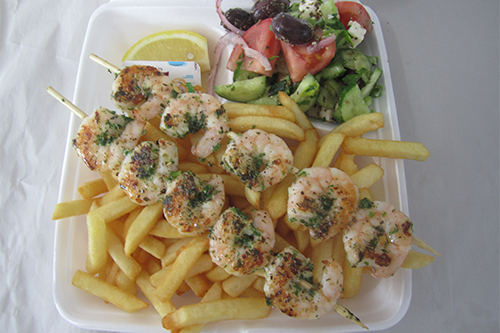 At Ramsgate Beach Seafood we have been cooking and serving top quality Fish, Chips and Seafood for over 10 years. We pride ourselves on our commitment to food freshness, quality and taste while always ensuring our customers are completely satisfied. Our extensive seafood menu also includes mouth-watering Burgers and an assortment of Fresh Salads. Wether your order is eat in or take away we can assure you of it's quality. We also take phone orders if you would like to save the wait time. Contact Us if you have any questions. Ramsgate Beach Seafood has been in operation for 17 years. We pride ourselves on delivering the highest quality seafood while ensuring our customers are always satisfied. We have been servicing the St George District the entire time we have been in operation and take great pleasure in supporting local causes. Feel free to Contact Us if you have any questions.